Pakistan Press Foundation (PPF), in a letter to Jair Bolsonaro, President of Brazil has expressed concern over the harassment of female journalists on social media. PPF Secretary General Owais Aslam Ali has condemned such incidents of harassment on social media and called on the newly elected government and authorities in Brazil to stop targeting journalists. 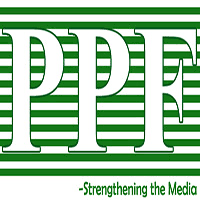 PPF also urged to provide safe environment to journalists and media professionals. According to Brazilian Association for Investigative Journalism (ABRAJI), female journalists were harassed and threatened on twitter for sharing their opinion during the coverage of President Jair Bolsonaro’s inauguration on January 1. Tabata Viapiana of Central Brasileira de Notícias (CBN) and Amanda Audi of Intercept were subjected to hate speech in a video posted on the twitter account of Political Connection also shared on the twitter account of both journalists. Viapiana stated that my comment was regarding working conditions in the Ministry of Foreign Affairs commonly referred as Itamaraty, I was called up a liar. Audi and her colleagues Bruna de Lara and Nayara Felizardo from Intercept have also been harassed on social media since December 23, when President Jair Bolsonaro decided to block Intercept journalists. Felizardo who is already blocked on twitter by President Bolsonaro, wanted to express solidarity with colleague Audi for being harassed on social media. All three journalists of Intercept will reach the legal department of their organization to discuss whether they can file suit for moral damages.